As the biggest hospital in Belgium UZ Leuven uses digital communication mostly in waiting rooms and cafeteria. Content can be updated easily with the Centoview CMS and the Centoview apps. Specific information like the menu is automatically extracted from the source (e.g. food database). 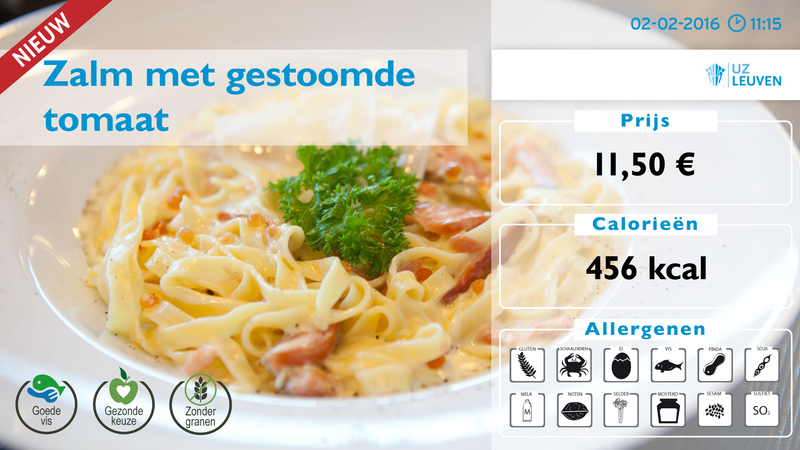 For example, more than 3000 visitors each day can choose from the digital menu in the restaurant. They are well informed about price, calories and allergens.